had to cycle real hard to keep from feed problem. Rifle was obviously dirty so took it home took it apart. It was really hard to get screws out one actually bent a screwdriver head. Had to drill it out. What advice would you give getting the screws out. And would you recommend a light weight aluminum Carrier without an action job. The uberti screws are notoriously soft metal and also super tight. Replace them with hardened screws from somewhere like vti or the Smith shop depending on which screw needed to be extracted. For removal of stuck screws in all applications I use the screw extractors that have one side for drilling and the other side for extracting. So far I've had good luck with it. Try a very hot hair dryer see if you can get the gun up to two hundred. you may try to put the gun in a vice with a screw diver bit that fits good then turn it with a wrench. If that don't work send it back that BS. I take all the screws out of any new Uberti I work on, using a 3/8" hand impact driver and magnatip bits in an adapter when I need to. 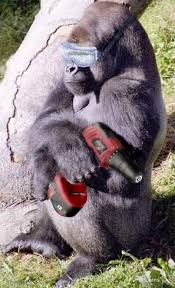 Or Brownell Magnatip screw driver and closely matched tips if they are "non-Bongo-gorilla" torqued. For replacement screws, the VTI hardened screw kits. would you recommend a light weight aluminum Carrier without an action job. Nope. You will not be able to feel the difference until the action job is done, and carriers are not always drop in, so someone has to be in the guts of the rifle fitting things anyway. Do both at same time, and short stroke if that is on the list, too! Send it to Marshall Harland Wolff (Spencer Davis) & tell him to fixit it. It'll run like a scalded dog, & you'll never have a problem with it. If you at EOT & your rifle fails, what would it be worth to have it not happen? That's right - LOTS!!!! I have a '66 and a '73 and found a quick spray of cleaner solves most of my cycling and feeding issues, without having to take plates off until I give them a really thorough cleaning, involving cleaning the magazine tube as well. Or Brownell Magnatip screw driver and closely matched tips if they are "non-Bongo-gorilla" torqued. PLUS ONE to Garrison Joe. The only problem with Uberti screws comes with the first time removed. Way over-torqued. A nice 1/4 inch impact driver is your friend as are fitted Brownells Mag Tip drivers. Once first removal is done, hardened screws are really not necessary. Nice, but not necessary. The Uberti screws are soft as mentioned above, but I've been able to get mine out. First thing is getting a screwdriver that fits the screw exactly. I'll also use a bit of penetrating oil and let it sit for a day or so. If I can't get the screw out with the turn of the screw driver, before i start ripping into it and stripping the screw. I'll lay the gun down on solid surface or put it in a vice (Depending on where the screw is located). Place the correct fitting screwdriver in the screw head. With a brass or plastic hammer/mallet I'll give the screw driver a few sharp raps. This usually breaks the tension in the threads and allows me to back out the screws without damage. I see heat mentioned as well. I don't like to use heat on firearms, but a heat gun probably isn't going to hurt anything. Another trick to heat is actually adding cold to the screw itself, in the form of an ice cube. The surrounding area expands with the heat and the ice cube contracts the screw allowing tension to be broken. 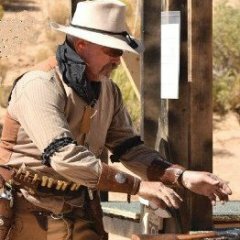 Any Uberti rifle I have acquired has required the following: PB Blaster on all screws, allow it to penetrate for about 24 hours, apply heat from a moderate heat source and using a screw bit that fits perfectly, carefully remove the screw and replace it with a hard screw, Brownells has been my go to source. The most recent rifle that I bought, a 1873 .45. I bought it used and it was filthy. Several screws were rusted in place and the heads snapped off as I tried to remove them. I do not know what the process is in Italy but perhaps it is someone who resembles the Hulk is the final person in the assembly process. I must be really lucky that the screws in every Uberti rifle or pistol I've owned have come out without too much of a fuss. A couple were really stubborn, but a snug-fitting screwdriver and proper application of torque was enough to get the job done. Guido works the second shift. His name is Bongo. I invented that name a whole bunch of years ago. 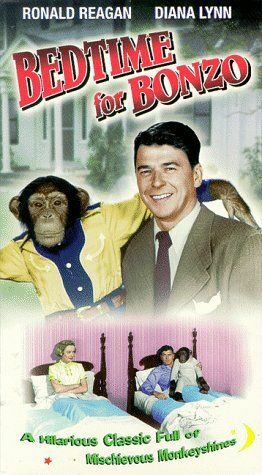 His name was a goof on the chimpanzee in the Bonzo movies starring Ronald Reagan. 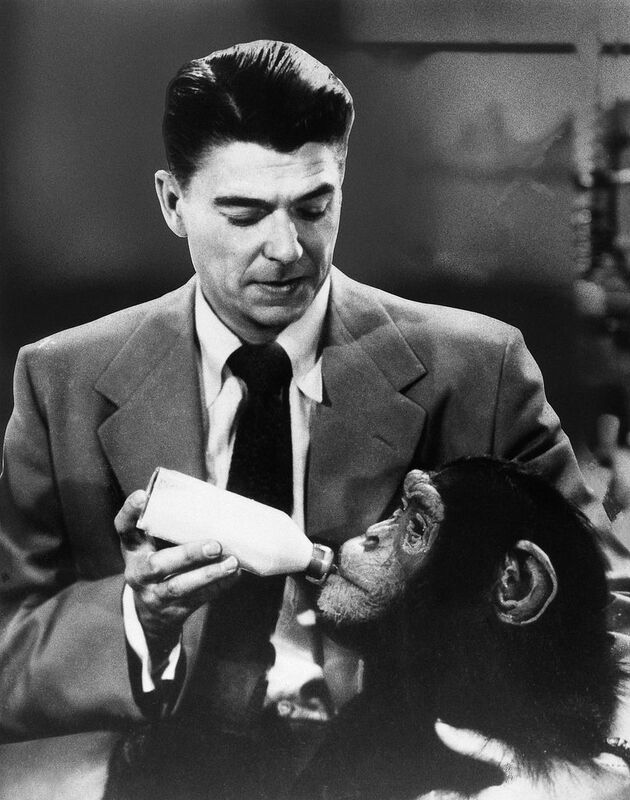 The idea was there was a gorilla who ran around the Uberti factory at night, after all the workers had gone home. Using his torque driver set ridiculously high he over torqued all the screws he could find. I actually spoke to somebody at Uberti about this a long time ago. 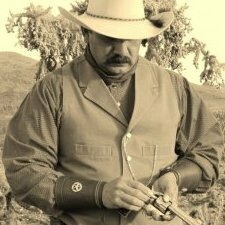 He said that Uberti purposely torques their screws in very high so they will not work loose. Honest, that's what he said. 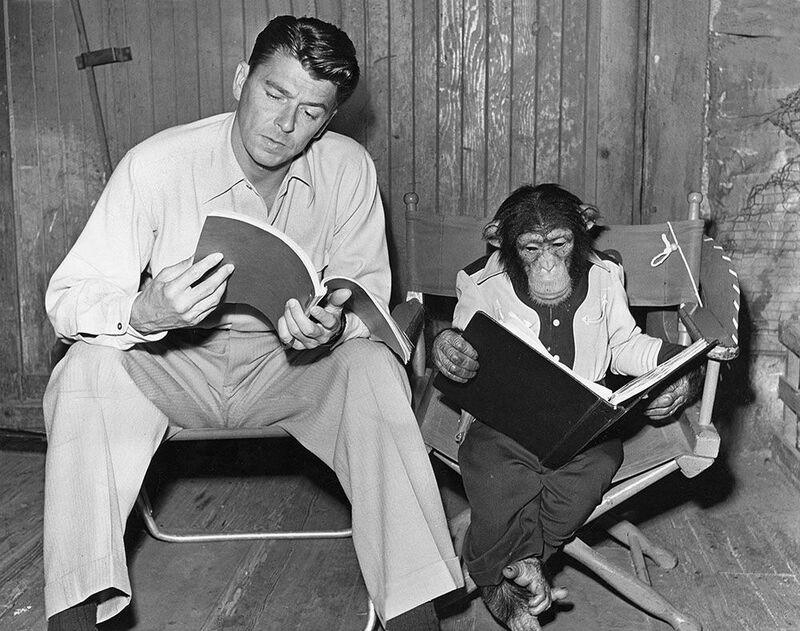 The little known story of Guido the Uberti gorilla started decades ago. Guido was a very successful animal actor. You might remember him from his famous Samsonite commercial ads. He fell on hard times and had a serious banana addiction. He reached rock bottom and started backpacking through Europe, living in cheap youth hostiles along the way. While in Italy, and desperate for money, he answered an ad for workers at Uberti. Although he is now a model employee, he is known to take out his frustration by over to tightening screws on all their lever action rifles. Keeping the mag tube clean is critical for smooth feeding of ammunition, especially 45 cal. I don't know the metallurgy of the mag tube but they rust easily. I have tried many cleaners and can't tell that one works better than the other to prevent rust inside the tube. I clean the mag tube frequently. Well, in their defense I've noticed that the screws I've worked on have had a tendency to loosen up after every range session. It's probably easier for their warranty department to deal with customers who screwed with their guns and boogered up the screws than worry about people complaining about guns coming apart. It was American Tourister, though. Great ads! When you use soft steel screws, as Uberti does (cheaper than 4140 chrome moly steel), the new screw is soft enough that the threads deform to hold the gun together, but only when they over-torque by American standards. That screw holds real tight, until some "dummy" takes their gun apart! (OMG, what are those cowboys doing - taking our guns apart!) The cowboy puts the screw back in with normal torque, and the screw shank and threads don't absorb the torque (they kinda ooze like soft putty, deforming out of shape) to match the hole threads, so the fit loosens up and screws back out. Now, a smart cowboy gets some high quality screws and replaces those soft ones, and the screw threads NO LONGER deform under the torque of tightening the screws a normal amount, and they don't back out anywhere near as much, because the springiness and hardness of the screw ensures the threads engage and pull the parts together. But I left a soft Uberti screw in my main match rifle (73) too long, kept retightening that lever pivot screw every match or two, and now it takes both a VTI hard screw and a dose of locktite on the threads to avoid having to tighten that screw every 6 stages. Eventually that soft factory screw led to deformed (worn) threads in the frame, too!